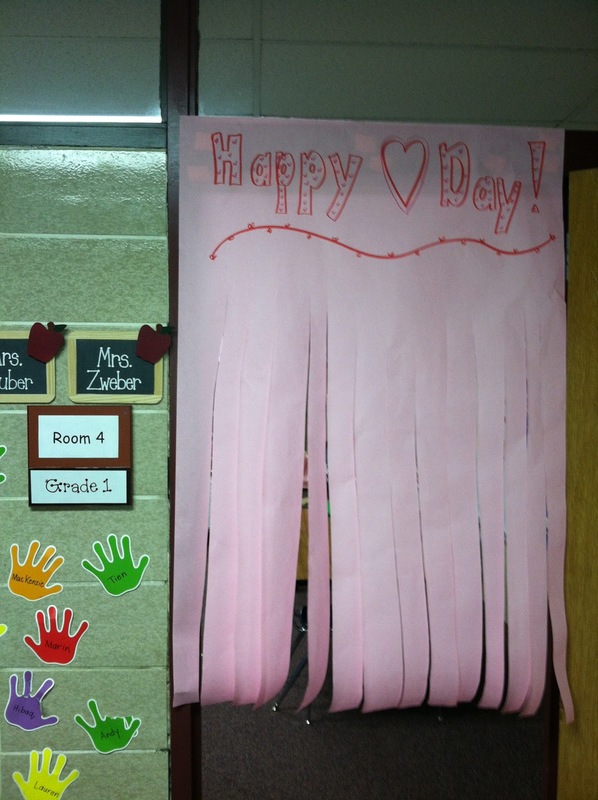 The kids were met with a Happy Heart Day greeting when they arrived this morning. It was fun to see the morning kick off with some Valentine excitement. Some of my little friends limboed into the room. These kidos keep me smiling! 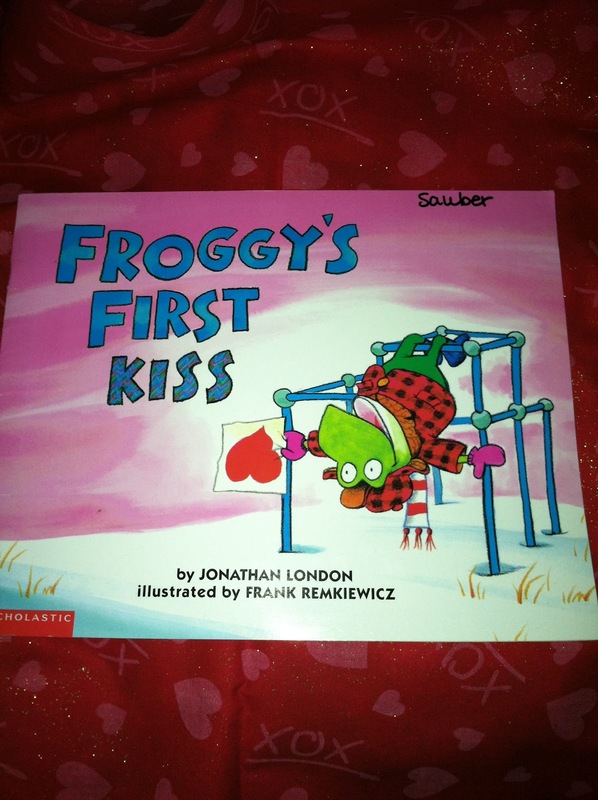 During our FACE lesson today we read the book Froggy's First Kiss by Jonathan London. 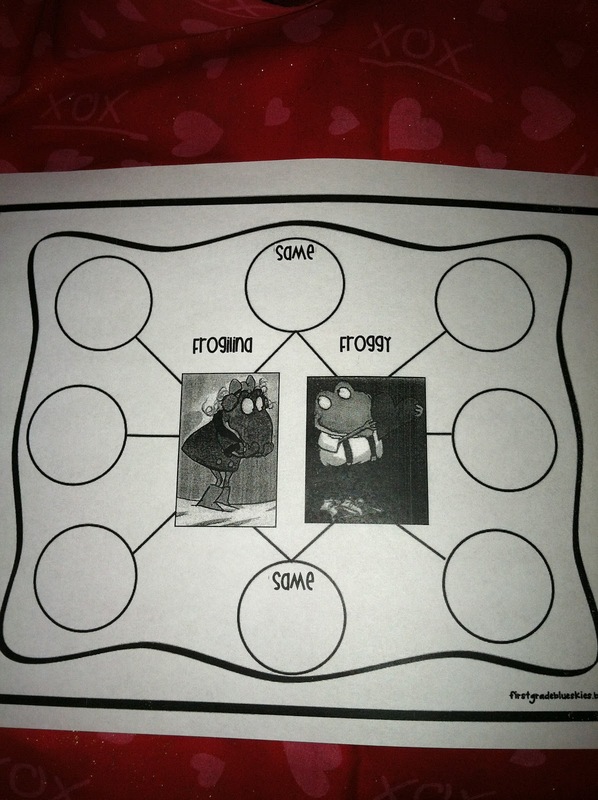 We compared the two main characters in the story(Froggy and Froglina). We looked for ways they were alike/same and what makes each character unique. We looked at their likes, dislikes, interests and events from the story to help us. As we were reading they filled in their story diagram. 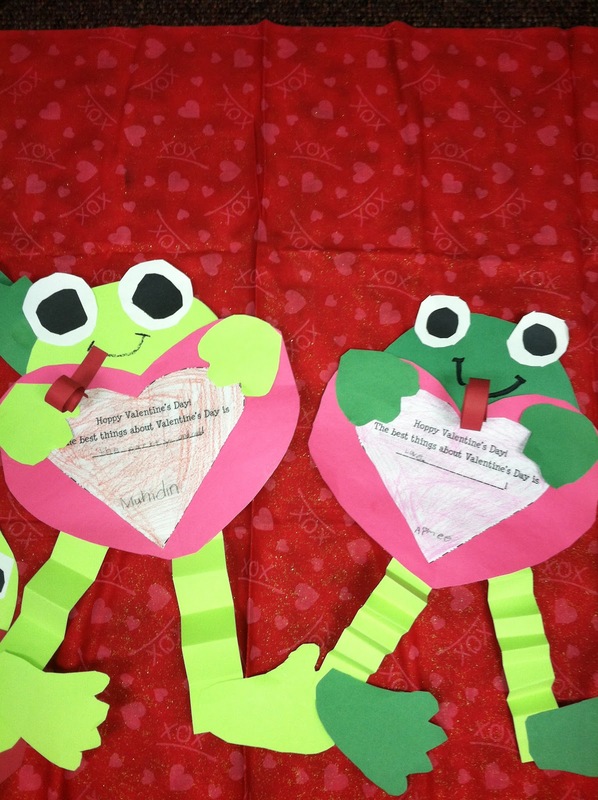 Then, during writing the kids wrote what liked best about Valentine's Day and then they created their own Froggy/Froglina. A special thanks to firstgradeblueskies for this fun idea.